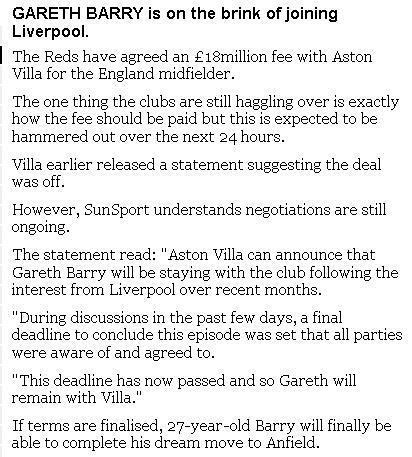 GARETH BARRY is on the brink of joining Liverpool. 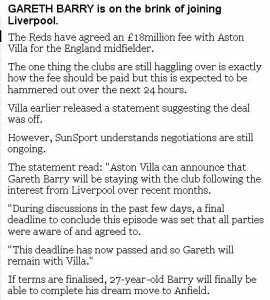 The Reds have agreed an £18million fee with Aston Villa for the England midfielder. Could I use this article for my blog? I’ll give you full credit and of course link back.